Medieval Mdina happened this weekend, and I (typically) decided to go at the very last minute on Friday evening. And then I decided to also go in costume. But what costume? I've sold Merida, the only really Medieval costume I had, so what could I make in 24 hours? 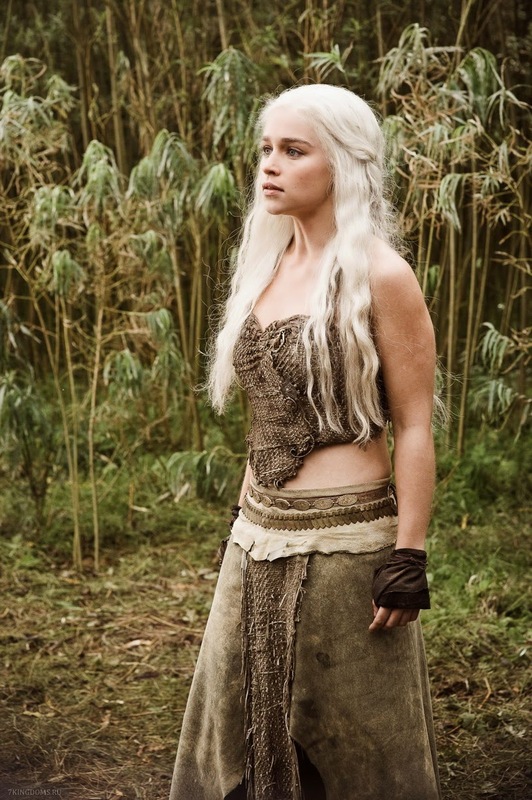 I highly recommend this video if you want to sew Daenerys' Dothraki clothing. I did make a few changes: I tended to sew instead of using hot glue, and I added bra cups to the inside of the top, to give it padding and structure. I put an old bra on the dress form, and put the crop top over it, then pinned the bra and top together. Once I got them positioned correctly, I sewed the bra to the top by hand, though I think hot glue would have been faster. My dress form: not the prettiest, but very useful. The top is just a square of material, folded in half to make a triangle. It knots closed at the back, and there a plaited trim/neck tie and a gathered sweetheart neckline. I did a little bit of distressing, which just involved making little cuts with my scissors and pulling at the loose threads. I didn't take many progress pictures because I was working flat out. The skirt, loin cloth and over skirt (or whatever the lighter coloured piece round the waist is) are made exactly the way they are in the video. The material looks great, even if the colour isn't quite perfect. I think the wig needs work though. It was very hard to hide my hair under the wig, and dark hairs kept peeking out. There has to be a way of hiding them! I had to plait sections of the fringe, which may be a reason why some of the hair at the front is visible. Thee was also visible hair near the ears. 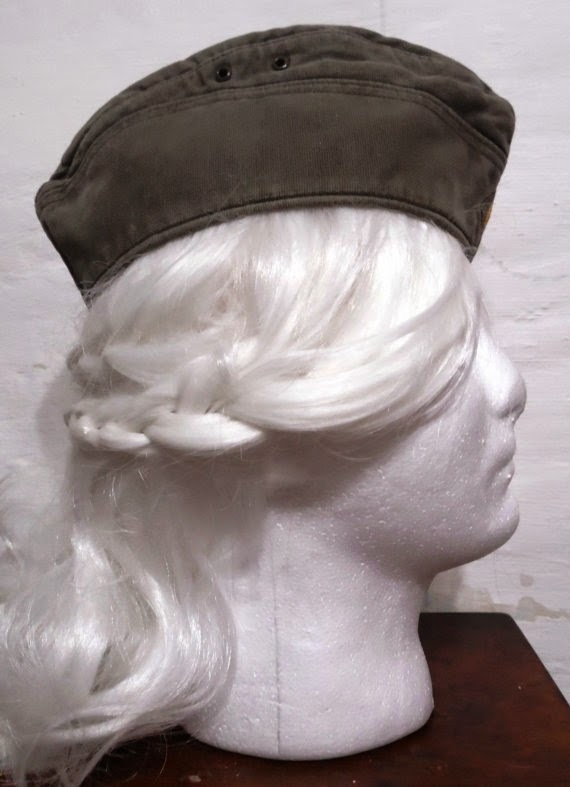 I was thinking of using this wig for Elsa, but I might have to reconsider, or at least alter the wig significantly. And then it was off to Medieval Mdina! And I scored in terms of photos, because the Herpetological Society had a tent there, and were showing off their great collection of snakes, lizards and one red-kneed tarantula. I actually got to hold a Bearded Dragon: Mother of Dragons for the win! There was also this gorgeous yellow-morph Burmese Python; she weighed about 7 kilos, but was very pleasant to hold. Snakes feels gorgeous: mostly smooth and sleek, with slight bumpiness when the scales are, and surprisingly soft. The Herpetological Society were all very friendly and helpful, and let me hold a lot of animals (3 or 4 different snakes, the bearded dragon, and a red-kneed tarantula) and answered my million and one questions. If you're in Malta and come across one of their events, I recommend saying hello-you may just get to have a 7 kilo python round your neck. This was a very lucky photograph. There were two mounted re-enactors, and they let me take a photograph with this Lipizzaner (I think that's the breed. The spell-check doesn't think this is a real word, and is suggested 'Pizzeria'-weird). They also had a stunning Friesian that I very much wanted to take home and keep in the garden.